You are here: Home / Great Deals / Amazon Deals / KIND Nuts & Spices, Dark Chocolate Nuts & Sea Salt 12 Ct Only $13.51! 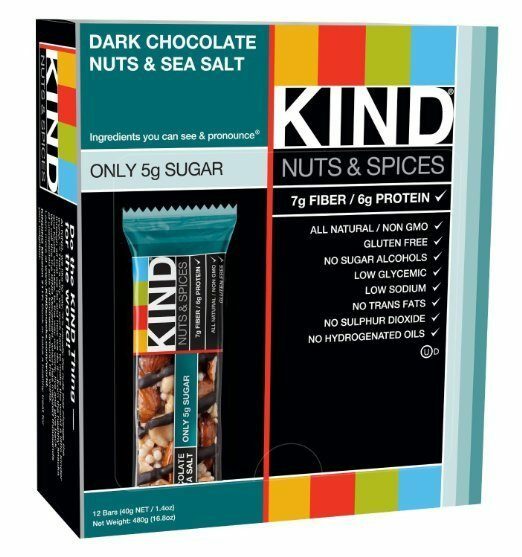 KIND Nuts & Spices, Dark Chocolate Nuts & Sea Salt 12 Ct Only $13.51! Head over to Amazon and order KIND Nuts & Spices, Dark Chocolate Nuts & Sea Salt 12 Ct for Only $13.51 on Subscribe and Save! One time purchase price is $14.22. Shipping is FREE for Prime members or on orders of $35+!